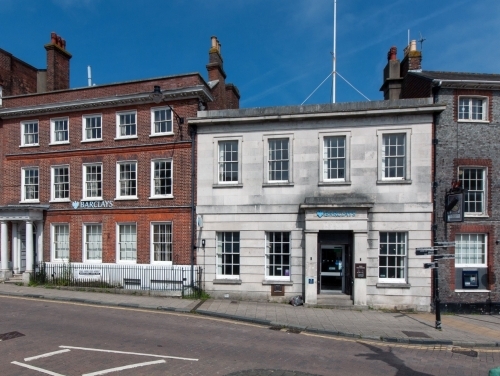 SHW is offering for sale 190 High Street, Lewes, two Grade II inter-connected buildings situated in a prominent part of East Sussex’s county town. There has been a bank on these premises since 1789 when founded with a cash base of £20,000 by four individuals who gave their ‘trades’ as gentleman, wool stapler, iron monger and soap boiler. It is still central to the town with multiple retailers to either side. Barclays Bank under various names has been in occupation since 1896, and has a lease of the whole with a break in three years’ time, after which if Barclays does not wish to remain in occupation of the whole or part the property would suite a variety of uses. The brick fronted building retains much of the original layout and features of a grand house, and the right hand building houses the banking hall. The property of 10,757 sq ft is being guided at £1.5million, reflecting £139 per square foot.